You know what the typical day is like for marketers. Between brainstorming and strategy sessions, lastminute requests and impromptu meetings, and trips to meet customers, you can barely find time to breathe—never mind keep up with the latest marketing trends. 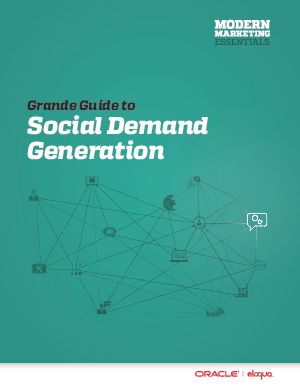 This guide reveals how to become proficient in a key marketing topic—in this case, social demand generation—with a minimal investment in time.